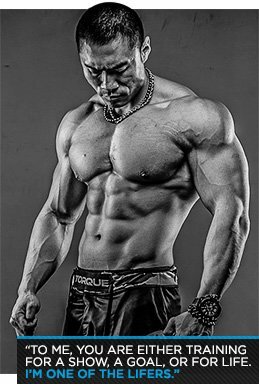 John Lee has been a member of BodySpace longer than most. He lived the life before it was trendy. Meet the strongest cat in the jungle. Long before BodySpace became our signature social networking site, the Bodybuilding.com Forum was the flagship. Who are we kidding, the forum still rolls! It is one of the largest active forums on the Internet. Its members are the bastions of bodybuilding, the creators of crush, and are, of course, willing to share, even when you're not ready to listen. 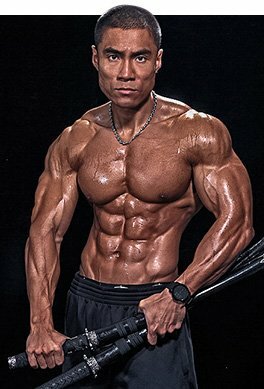 John Lee has been part of both the origin story and the modernization of Bodybuilding.com. He witnessed the growing pains, and used the information and the community as support and guidance through the greatest growth years his musculature has seen. This is fitness. This is bodybuilding. This is Forum and BodySpace. This is about you, him and us. I was actually one of the original members, under the name Mr. Aries. Bodybuiding.com even used my BodySpace in one of the early ads. Everything was going well, until one day someone hijacked my account and it was erased from existence. I've since started over with this new account, and for the large part, most of the people who remember me back in the day still do today. BodySpace has inspired me to continue my journey because so many people come to me for advice. It has kept me on the cutting edge, to constantly learn new things and develop new ways to train the body and the mind. It has helped me understand people: how they think, how they live, and how they cope. Through BodySpace, I'm now open to a much larger audience than the local one I've grown accustomed to. It has, in a sense, allowed me and my story to go global. The friends feature. I love conversing and catching up to people I would have never met without BodySpace. It's an eye-opening experience every time. To me, you are either training for a show, a goal, or for life. I'm one of the lifers. With or without competitions, short term goals, or even BodySpace, I'll always be training and eating right. Consistency plus time. You don't need to perform at superhuman levels, you just need to perform at peak human levels over enough of a period of time to gain, maintain, and solidify your gains. Try too many shortcuts and eventually you will have to eat one of your mistakes and fall face first. Play it slow and steady, and the rewards will stay and be yours to keep. BodySpace is all about shared inspiration. Have any of your BodySpace friends made a special impact on your life? I think everyone who considers me a friend on BodySpace makes a special impact on my life. The world is a shrinking space, and BodySpace makes it even smaller. Everyone who cares to reach out to me, like my pictures, comment on my writing, and support me in any other way gives me fuel to continue living the way I do. The people on BodySpace affirm my purpose here: to learn, to share, and to mutually inspire. 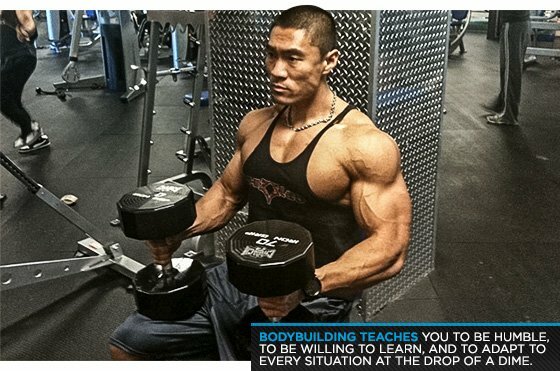 Our fundamental goal at Bodybuilding.com is to change lives. Have we helped change yours? Yes, of course. 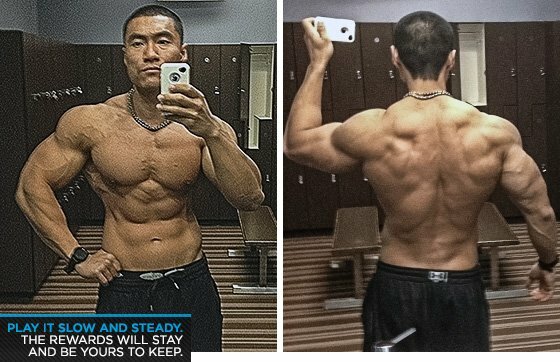 Without Bodybuilding.com, I would have never learned as much as I have about the newest supplements, the latest research, and the craziest stories. 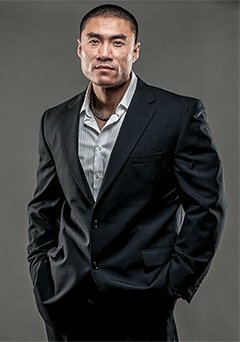 Bodybuilding.com gave me new insight into an old industry, and I developed much better understanding of not only the lifestyle, but also humanity in general along the way. I've also learned to be more patient, more tolerant, and more observant. The popularity has exploded. I remember back in the day when the website was nothing more than a forum with an avatar picture. Then came BodySpace and the people resistant to the changes up and left. Those who remained helped make BodySpace what it is today. Now, there are more users than ever, more content than ever, and it's more influential than ever. Along the way, Bodybuilding.com has grown to be even more of a juggernaut. Follow me on Instagram (aries3231981) or Facebook, or check out my blog on torque1.net.